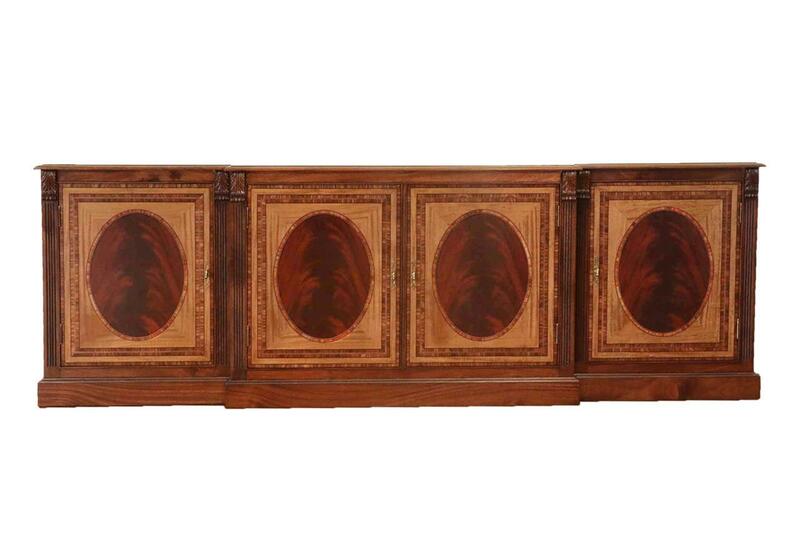 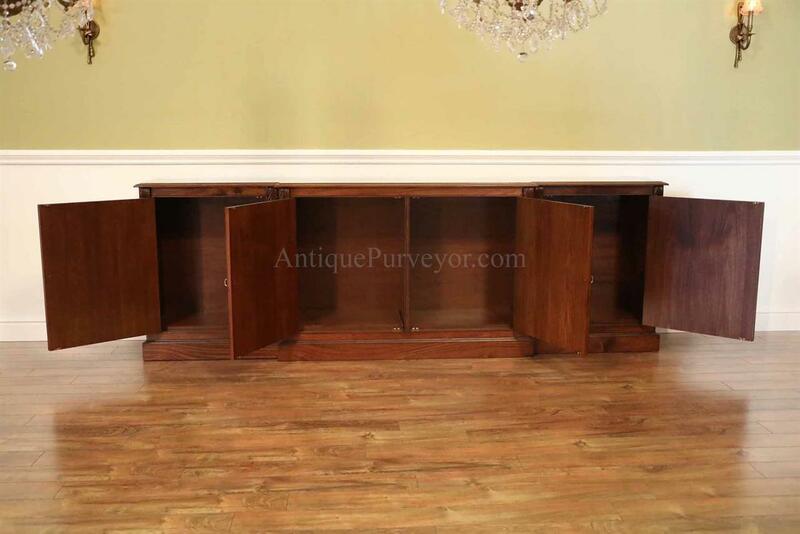 Description: American made extra large dining room sideboard or office credenza. 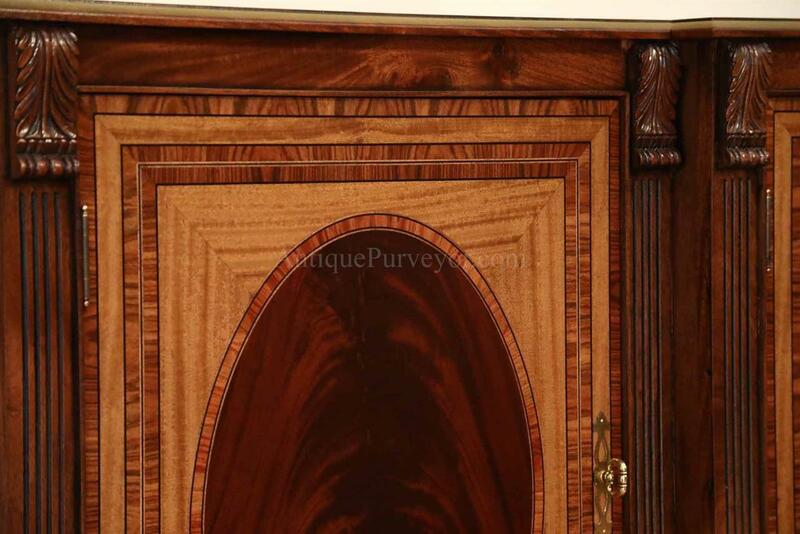 Oval flame mahogany and rosewood inlaid doors on Plynth style base. 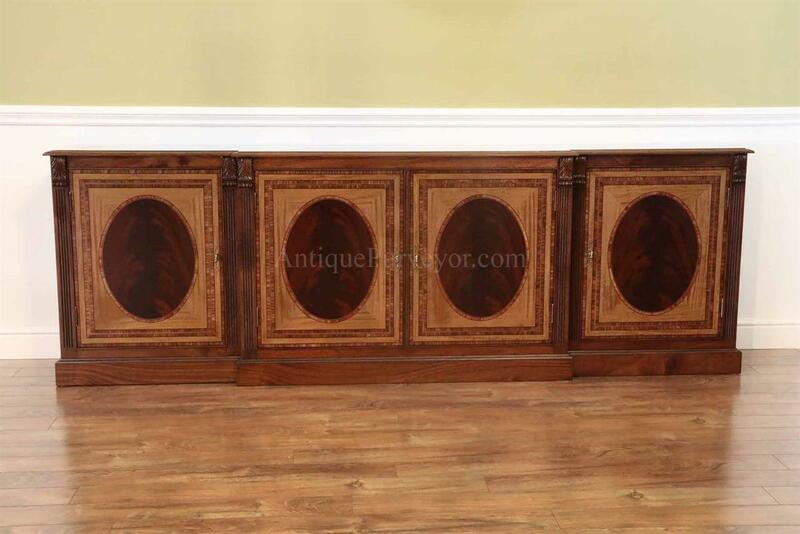 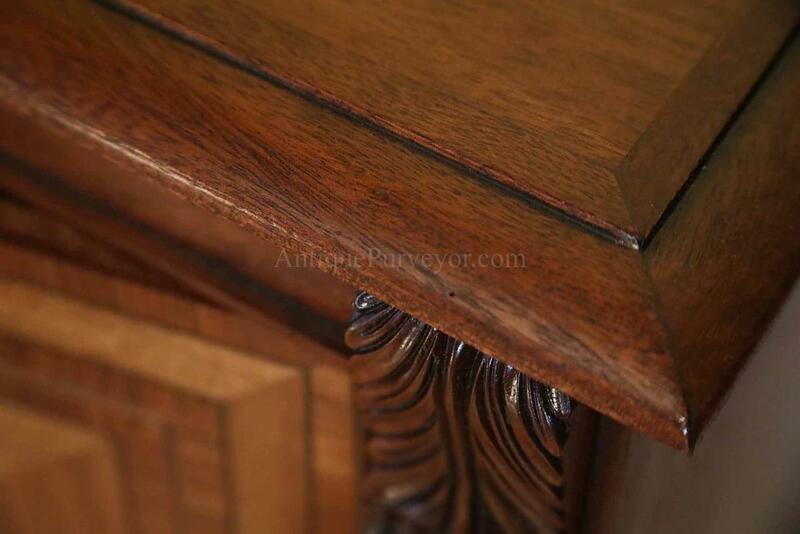 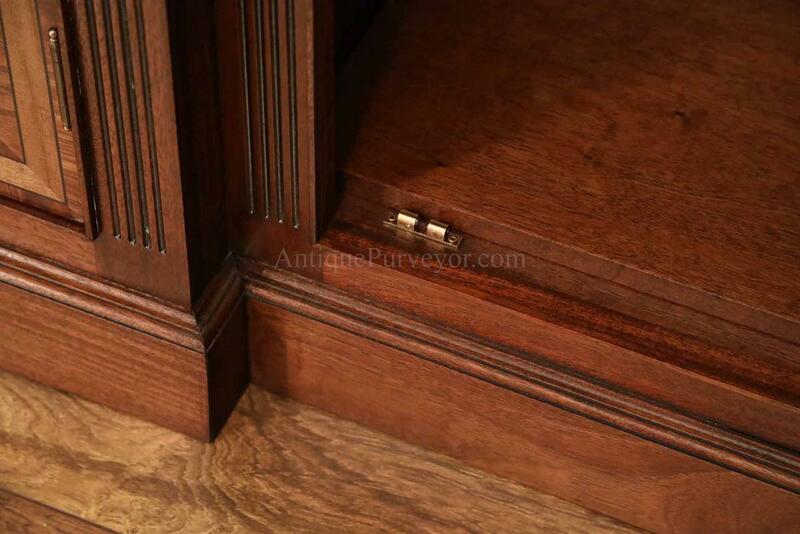 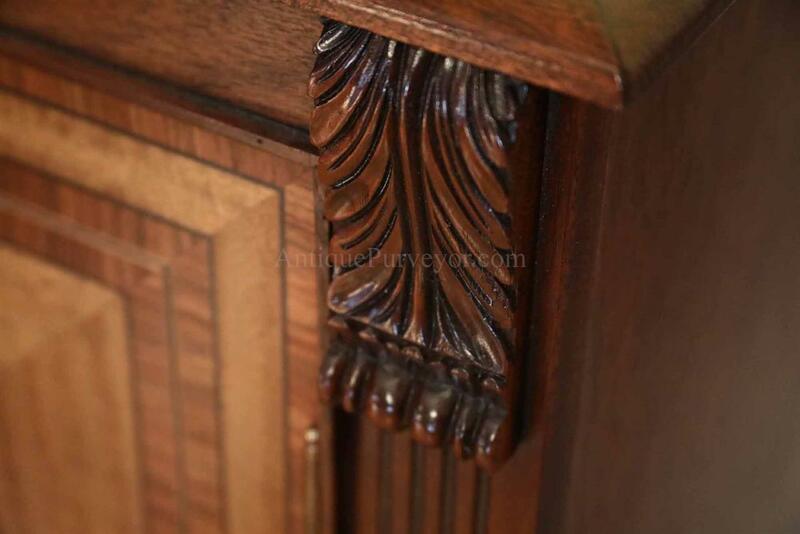 Solid craftsmanship, sturdy well made cabinet with special pricing on this cabinet. 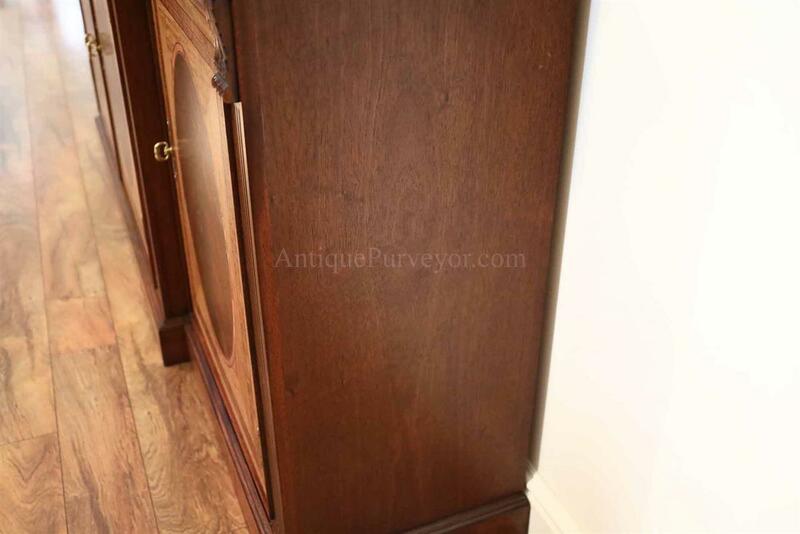 This cabinet has a ton of storage. 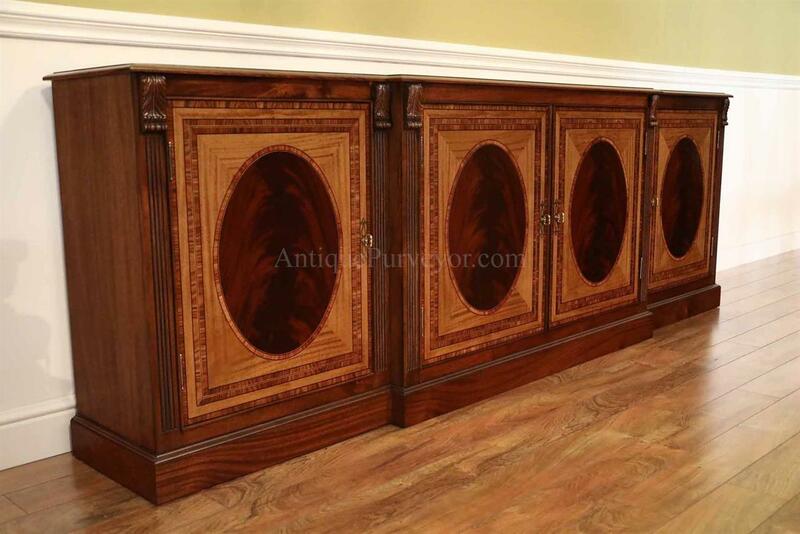 Can be customized, but we only have one cabinet that can be sold at this price as shown on this product page.